The Allen Co's Eliminator All-in-One Shooting Bag is just what is says. It's a one-stop-shop shooting bag for your day at the range. 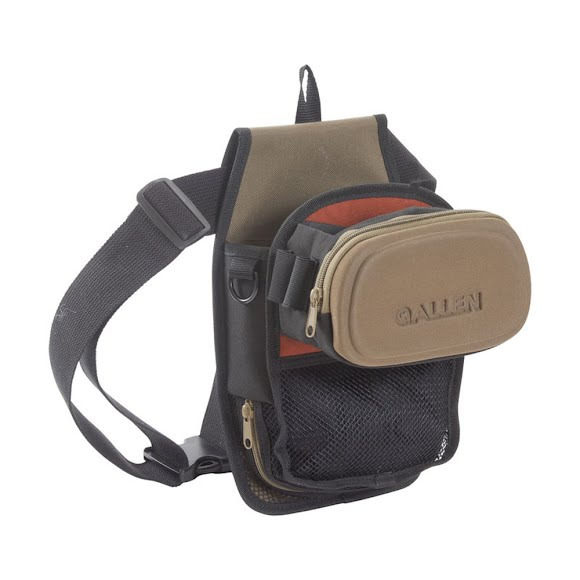 Allen has incorporated a molded accessory pocket to hold all your odds and ends when you're out there shooting. They have also added a d-ring that can work as a way for you to get quick access to your towel or shooting glasses case. The Allen Co &apos;s Eliminator All-in-One Shooting Bag is just what is says. It&apos;s a one-stop-shop shooting bag for your day at the range. Allen has incorporated a molded accessory pocket to hold all your odds and ends when you&apos;re out there shooting. They have also added a d-ring that can work as a way for you to get quick access to your towel or shooting glasses case. In addition to that we have incorporated a mesh pouch for your spent hulls.This shooting bag also comes with a belt included.